Originally posted on Maternal and Child Survival Program on March 15, 2019. Nampula and Sofala provinces, Mozambique – A lack of routine data to assess child health interventions has remained a stubborn obstacle to better care in Mozambique. MCSP’s introduction of a new child health registration book is changing that by ensuring the availability of quality child health data to support decision making. 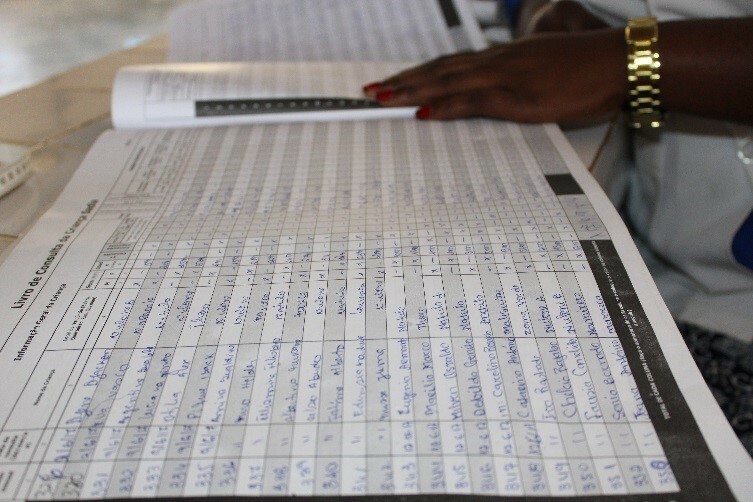 In 2010, Mozambique’s Ministry of Health (MOH) began developing standardized registration books for reproductive, maternal, neonatal, and child health (RMNCH) in all health facilities. This effort to ensure routine collection of key data on evidence-based RMNCH interventions was intended to begin in 2012, but the registers for well- and sick-child consultations were not prioritized. As a result, there was an absence of child health data and indicators in the country’s Health Information System. To address this, MCSP supported the MOH to pilot the new registers in 27 health facilities in Sofala and Nampula provinces. After the selection of pilot sites, formal trainings on the registers were organized and participating health facilities were provided with copies. In addition to enabling the collection of essential child health data, the pilot revealed that the registers serve as a job aid, prompting healthcare providers to follow recommended clinical protocols. This has resulted in more comprehensive consultations that cover the range of possible conditions from which a child may be suffering, along with assessments for additional issues that could affect the overall health of the child. Child caregivers report being satisfied with the new registers for precisely this reason. “With the new books, the health care provider now asks many questions about the child’s health,” said Regina Inacio, a mother whose child was examined at an MCSP-supported facility. Previously, well-child consultations often consisted only of weighing a child. They did not include a full review of health history or examination to assess for health problems above and beyond the reason the caregiver brought the child to the facility. With the use of the registers, well-child consultations are now more thorough. Above: A nurse using the new well-child consultation registration book. Despite these successes, piloting the new registration books has not been without its challenges. For instance, health care providers at facilities in both provinces reported increases in their workload due to use of the new registration books. This has resulted in longer wait times for patients needing both well- and sick-child services. To alleviate these bottlenecks, providers are learning to delegate some tasks – such as growth monitoring – to other health facility staff, thereby reducing both the workload of the provider and wait times for patients. 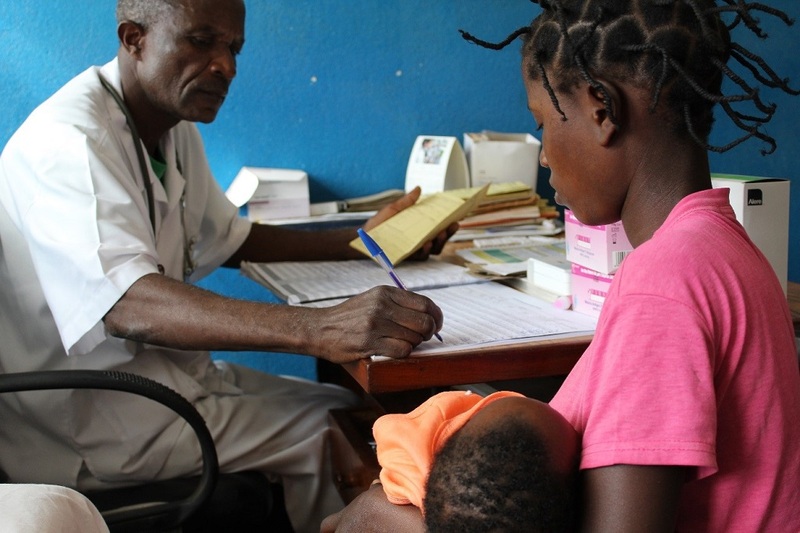 MCSP is empowering Mozambique’s health care providers to use improved metrics and methodologies to collect data on coverage, quality, and equity of high-impact RMNCH interventions. This, in turn, is a critical step toward improving health outcomes and saving lives. By valuing data, Mozambican providers are building more robust local health systems. Previous Previous post: To End the HIV Epidemic, We Must Build the HIV Workforce Capacity in the Southern U.S.